You May Not Be a Twins Fan but Target Field Is Pretty Awesome! Okay. Okay. I get it the Minnesota Twins are not doing the best this season. You do have to admit that catching a game at Target Field is fun regardless if the Twins win or lose. I am impressed each time I go with the different food and drink offerings. Plus, I am a total sucker for helmet nachos. I guess for me going to a game is about the experience rather than about how anyone plays the game. So, if you are the opposite of me. Give my approach a try sometime. Maybe, just maybe, you’ll enjoy the experience more than you thought you could. 1. Try some food you haven’t tried before. AZ Canteen or Turkey to Go are always on my list of places to stop. 2. Grab a drink in one of the many bars at Target Field. 3. Meet a member of the staff. There are some really neat people who work at Target Field. Get to know one or a few of them. 4. Try a new beer! 5. Walk around–There are always promotions and fun things to do around the ball park so stop and try one of them. 6. Start a conga line. Why not??? 7. Play some TWINGO because it is fun! 8. Talk to the person next to you about the song that you would have during your at bat. 9. Bet on the character race. I bet my cracker jacks on Spot every time. 10. Enjoy the people that you came with! Because if you are not having fun. Make your own fun. 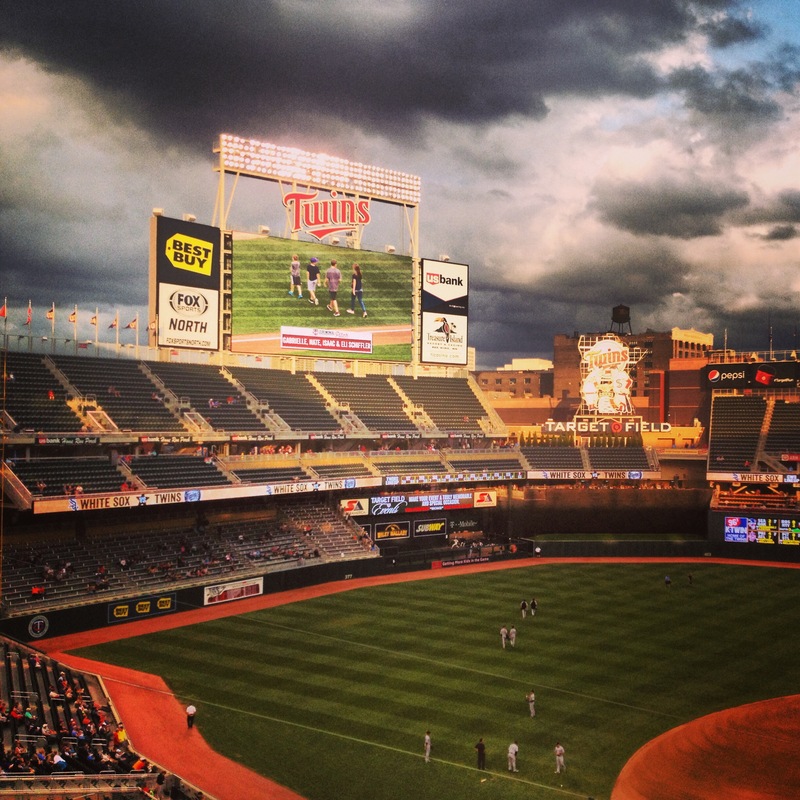 What’s your favorite thing to do at Target Field? I insist on doing at least one lap each time I’m there, you never know what you might find!